Chaudhry Pervez Elahi of PML-Q has been appointed as Deputy Prime Minister of Pakistan. 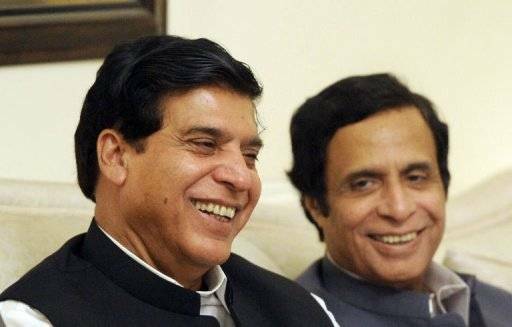 A notification was issued yesterday evening (25 June, 2012) that Chaudhry Pervez Elahi is appointed as Deputy PM with immediate effect however Deputy PM will have no exclusive authority whatsoever. It is also being said by some senior analysts that this is an unconstitutional post and does not hold any specific authority. 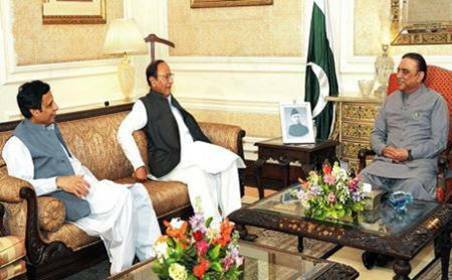 However the post of Deputy PM will provide a backup for the times when PM is not available or incapacitated. Ch. Pervez Elahi has become first Deputy PM of Pakistan. He is also the Minister of Defence, Production and Industries. 15 other members of Pakistan Muslim League Quaid-e-Azam (PML-Q) have been appointed as Federal Ministers and Ministers of State. Ch. Wajahat Hussain also took oath as Federal Minister. Ch. Pervez Elahi is the former CM of Punjab and cousin of Ch. Shujaat Hussain (President of PML-Q and former PM of Pakistan). PML-Q joined the PPP led coalition government in May last year. To know more details about Ch. Pervez Elahi, please read my earlier post about him on following link.